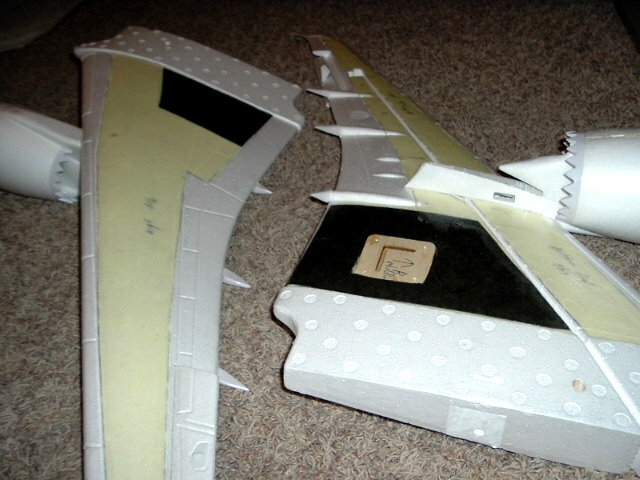 This is a LA-1 pattern ship from the early 90's. 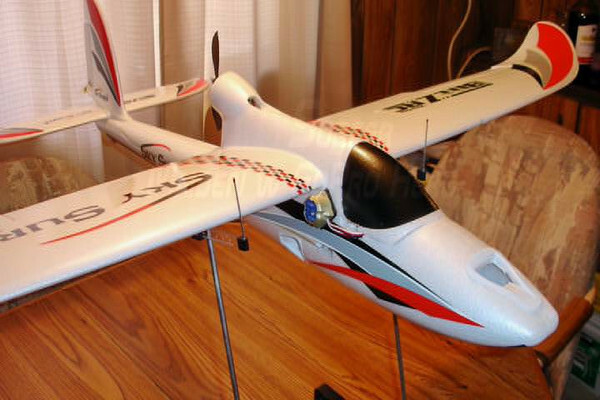 I flew one then and it did very well for me. This is the sister ship I never got around to building. They are about impossible to find today and would probably bring a good price. The plane is fiberglass fuse with foam cores and sheeting. Has mechanical Supra retracts and uses an OS 61 long stroke with pipe. I have put a new 2.4 system in it with all digital servos. When the mechanics are finished will paint fuse and mono the wing/stab surfaces. As you can see. it's done!!!! 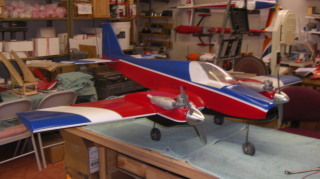 I have to balance it, (and put on the Blue decals), then wait for the RAIN to stop !! Bonzo is coming along!! I did a weight and balance check ( CG ). And not to bad. I will have to add weight to the tail, Install 3 servos in the tail and place the battery at the trailing edge of the wing.. all normal stuff..
Well she flys with the camera aboard! 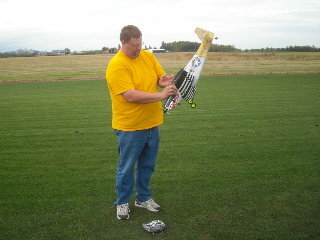 Now all I have to do is work on the pilot's flying skills. HERE IS A PIC OF MY NEW BIRD ALL FRAMED UP. 60 SIZE CUB 90" WING SPAND SAITO 80 FOR POWER . THE PEE WEE IS MY GRANDSON SETH . As you can see I have been busy ( the rain is good for something ). The can-o -pee is cut and detailed. 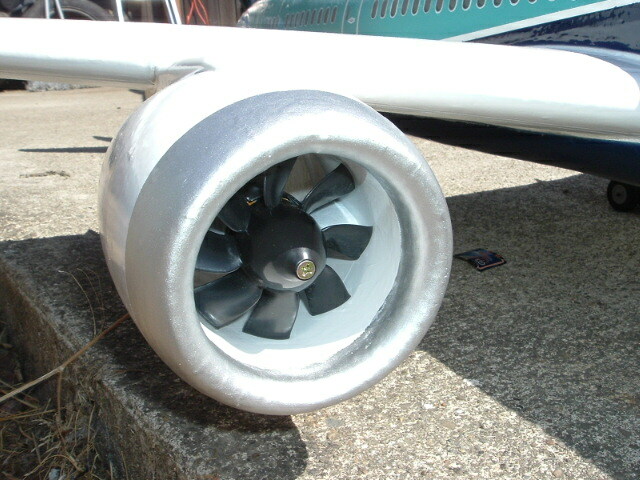 The cowling is cut and needs detailed. I have spent a lot of time on little things like , cowl cheeks to wing faring top and bottom, fitting the engine to the cowling and sanding sanding and sanding. (one of my favorite things). The engine is inverted and the exhaust will be the biggy. 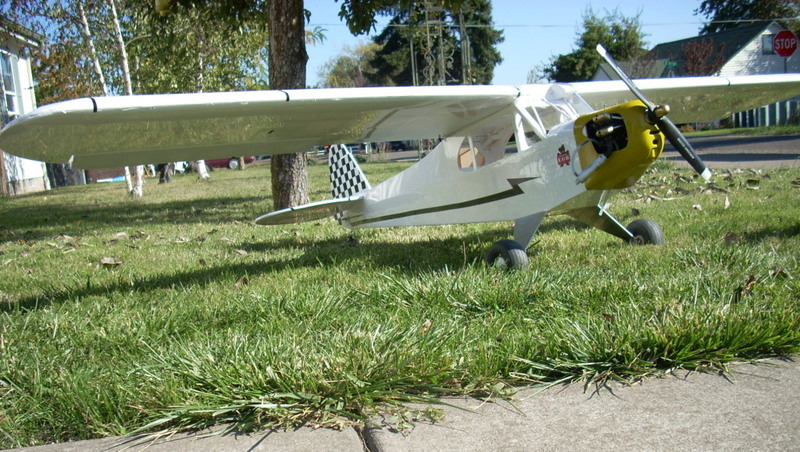 I would like to put a Pitts muffle on it but I don't have the room front to back and a inverted side mount will be cause to remove the left side of the cowling. Well that's not an option ether.. So what now ?? Looking at the plain, one would say the cowl cheeks are huge and they would be right, (all made to scale ) however, they are hollow inside and the cowl cheeks would be a good place for a muffler. I'm guna have to design and build one, but that is where it's guna live. It will be easier to make the muffler if I don;t have to worry about muffler pressure, so I have researched it and I will put on a Perry VP-30 pump on it. No muffler pressure required. A lot of you have asked when BONZO will be done? Hell I don't know. It depends on the weather. The more it rains the more I work on it. However I do hope the flying season is not over yet!!!! So if you see rain then you will see BONZO real soon. I'll keep you posted!! Well Bonzo is back. It's been seven months sense I looked at Bonzo! It's been a good flying summer but the rains started again and off to Bonzo. Clean off the work bench, find the glue and open the box of wood, get a cup of coffee and turn on the radio (I love country) and set back and look at what is done and what has to be done. 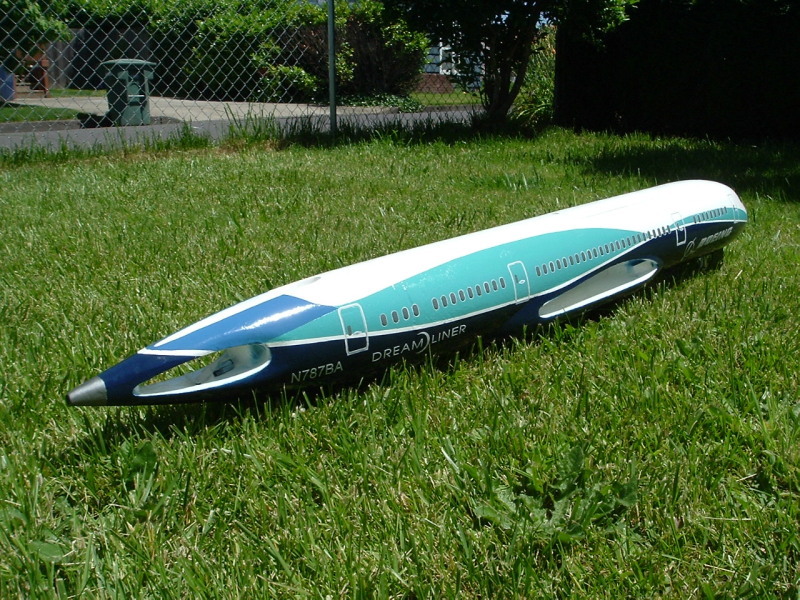 I know that this plane as to be built with the wing on. So were to start? 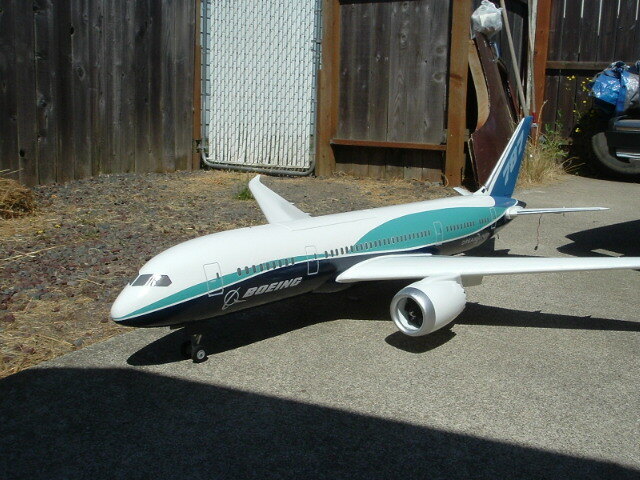 The incidence on this plane is 0-0. 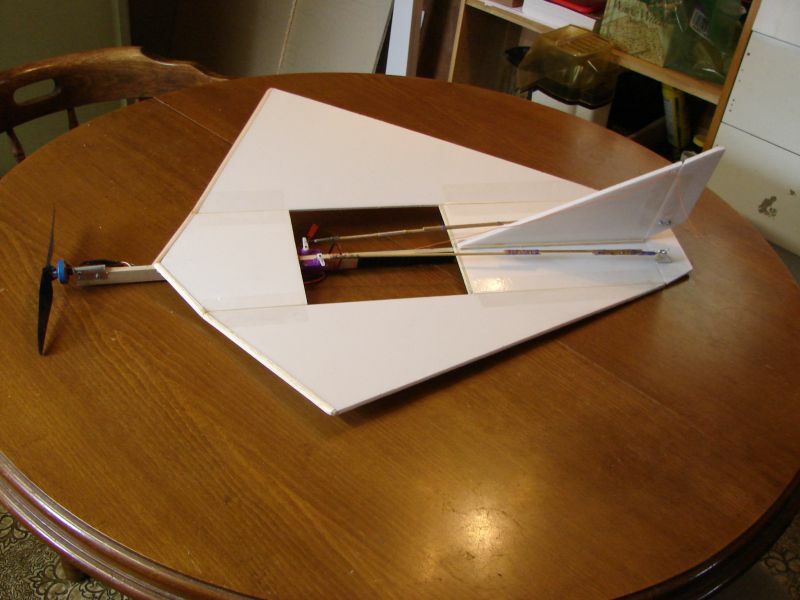 I set the wing on the fus and pin it and then the horizontal and pin that also. 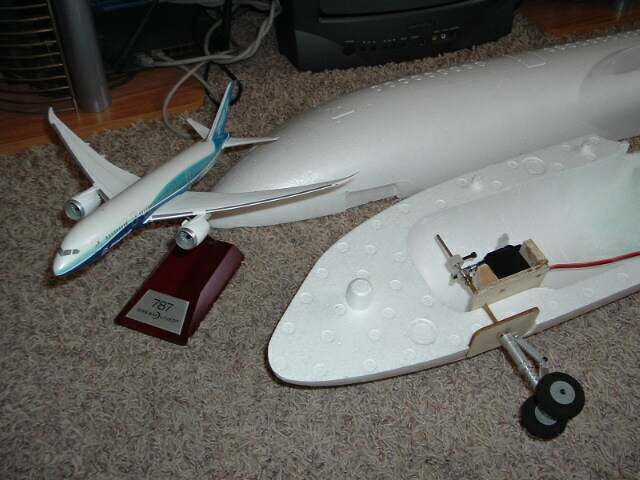 I set the level on the tail and the incidence meter on the wing and adjusted both for 0-0 incidence. I even surprised myself . 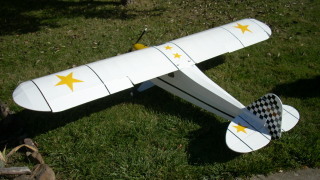 I had cut the wing saddle and the tail section purfact!!!!! it was 0-0 and I had no adjustments to make!! I was so surprised I measured it 3 more times to make sure! I started construction at the rear with the horizontal and vertical. Epoxied them on and then the turtle deck working my way forward. 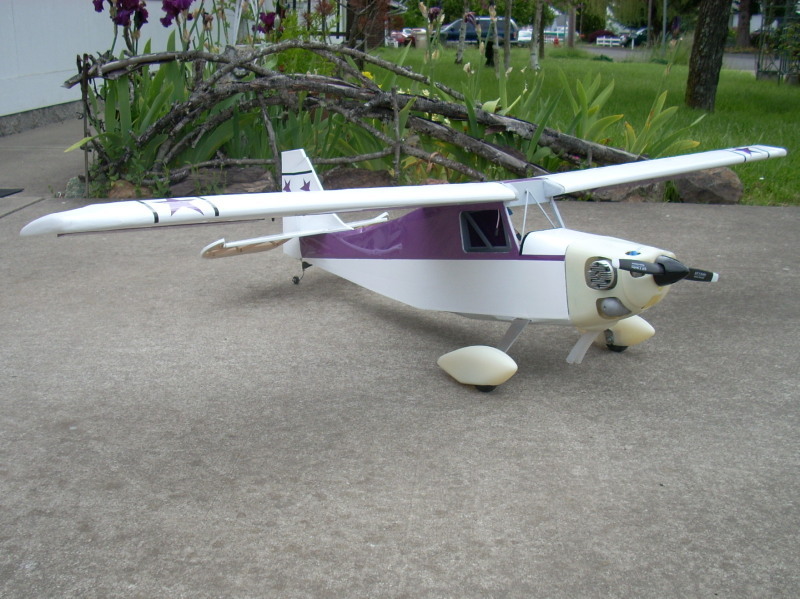 The can-o-pee on the original was glued to the wing but that will not work on this one. I laid down a floor for the can-o-pee and started building the upper part. Well that wasn't to bad. Now how do I build the front deck? Knowing that the front deck will need to be cut apart in two places. 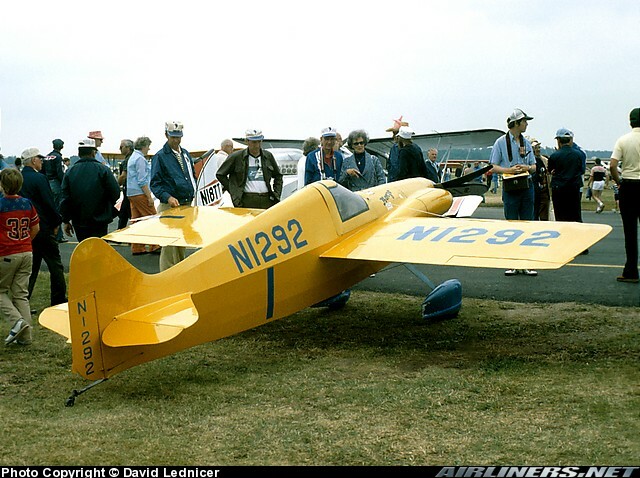 1) to get the can-o-pee off and 2) the cowling has to come off also. Hhmmmmm. Were to start??? I know I'll start with an engine. That way I will now how far forward the deck has to be. My friend Frank Blain has some MOKI 180's he wants to sell. Good that should pull Bonzo real nice. So I called Frank and now that I have the Moki I need to install it. Oh the problems of scratch building! The mount for the Moki is to big for the firewall. Not side to side but top to bottom. So that ment I had to saw out the firewall and make a new one. 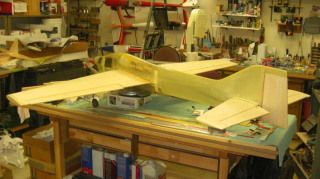 (epoxy is strong stuff) The new firewall changed the front of the plane a little but no one will no but me so I'm not talking! Engine is mounted. Made a 3 ½ ring (spinner size) glued that to another bigger ring simulating a back plat and installed that to the engine. 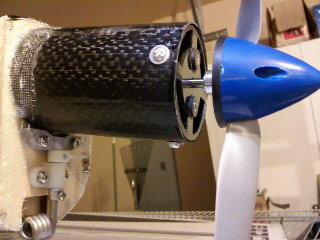 Now I have my distance to prop hub and a ring to glue to. 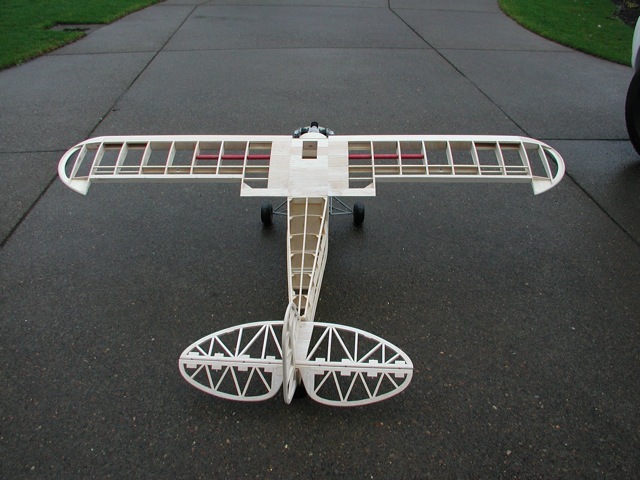 I built the deck out of 1/8 by 1/4 balsa and bent and twisted as I glue all them little strips on. Did the top and then I was able to cut out the can-o-pee. Yahh it worked ! The can-o-pee is off. 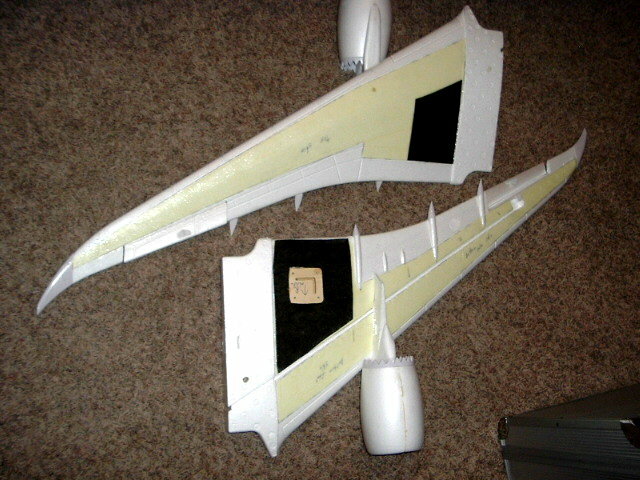 Now I can remove the wing and do the bottom of the cowling. I removed the engine and now it's time for more little strips. The bottom is done and boy, is there guna be a lot of sanding to do. (did I tell you I hate sanding). I will need to sand and sand and sand the top and bottom before I cut the cowling out but it is coming together!! 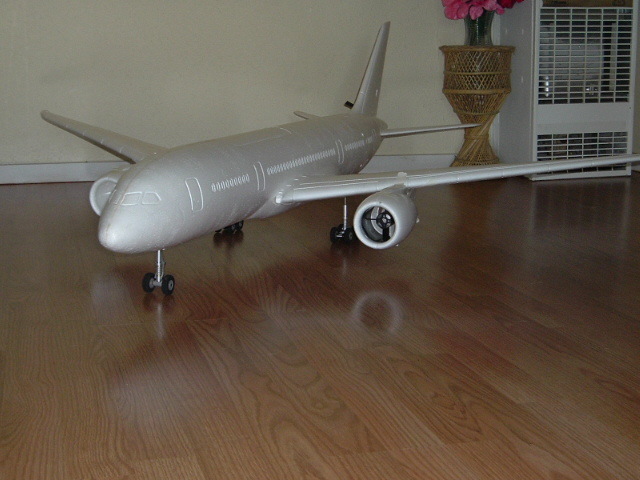 July 28 - B787 about 80 percent finished. Some painting needs to be done and the remaining electronics installed. 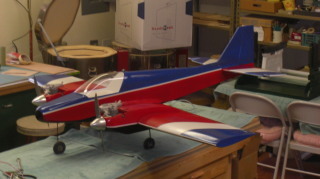 May 10 - This is a scaled up version of the stringless wonder that was in the latest AMA magazine. OK. On to the fun stuff.. I am finding out that the plain has to be built all at one time and all in one piece. You say,, How can that be??? 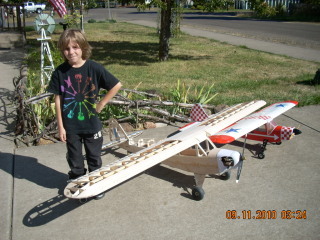 Well sense the planes are for a U-Control of a very small size (28in wing) and the wing is glued to the fus and then the tail is glued and then you build the turtle deck and canopy and then build and install the cowl cheeks ( The cowl cheeks also hold down the front of the wing) and then build the front deck along with the cowling ( top and bottom) making the plane a one piece airplane. All of witch are built over the wing. 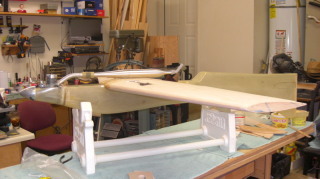 Geee , That would be easy to do, But this wing in 62in and has to come off ,however, It still has to be built in one piece. I do have most of the pieces cut out and fitted. I just haven't figured out yet how this is guna work ? I fit all the pieces on the fus ( you got to love pins) ,stand back and look. Then try to figure out were to start? I think I will start with the horizontal and the vertical and build forward. That would be ,Tail feathers, turtle deck, canopy, front deck and cowl cheeks and cowling. In that order. Well, I'm not ready for that yet!!!! I can't get the wing off with the cowl cheeks on so I got some head scratching to do there !!!! I may have to redesign the front wing mounts !!! Anybody starting to think ARF ,yet?? The one big problem I am having now is what engine do I put in this thing? I have a Sato 91 that I thought would work but as I build and see how big Bonzo is going to be I don't think the 91 will do it!! !.So that brings up other problems. Like firewall to back plate distance. Do I move the firewall back or do I make the cowling longer!! 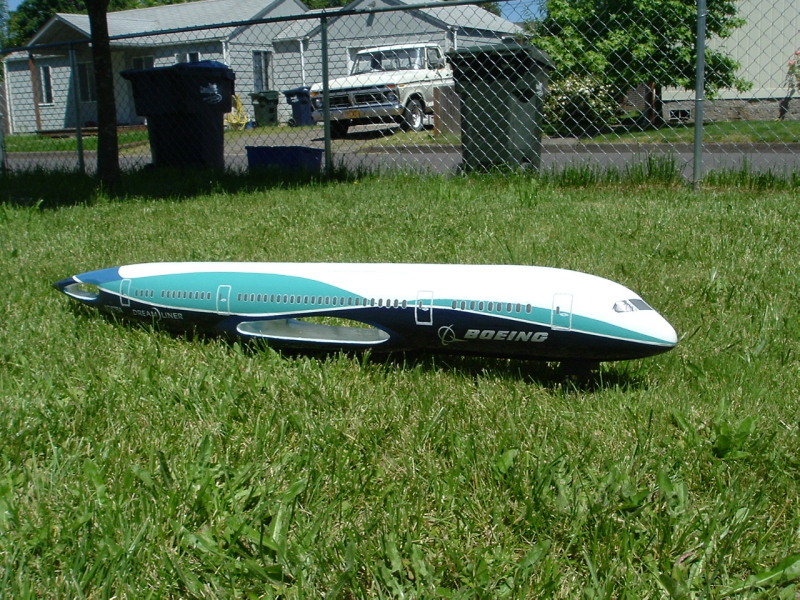 I have measured that distance on my other planes that have gas engines and it varies from 5 ½ to 6 ½ inch. Bonzo's plans from firewall to back plate in only 4 1/2inch. <> Yep!!! One of many problem of scratch building. Weight and balance has to figure in here also. I am beginning to see why there are less and less scratch builders out here. 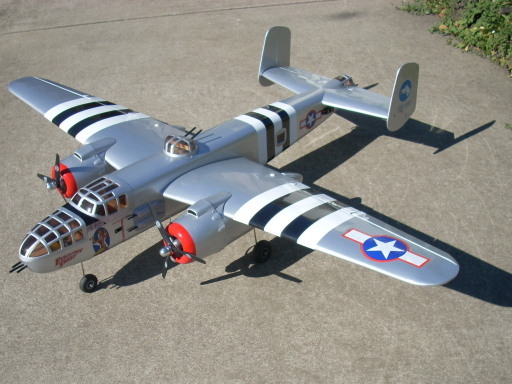 However I do enjoy what it take to get one of these in the air. Bonzo is on the boards!!!!! It must be raining! I got the itch to start working on Bonzo so off to the man cave!!!!! When you only have a set of plans and no kit to start to build you have to start someplace. 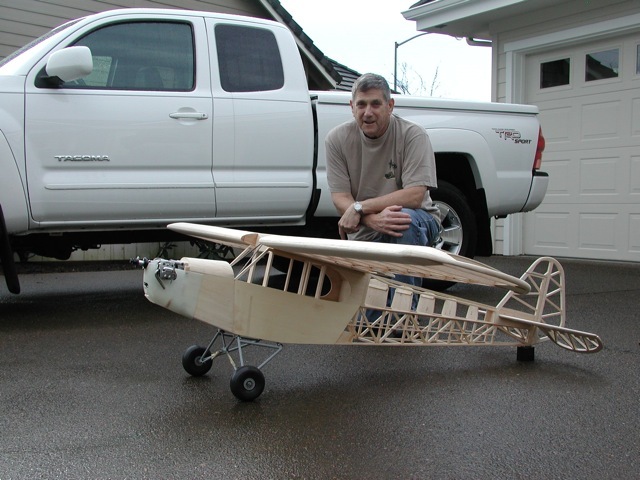 So the first thing you do is cut out all the parts you will need for the kit out of paper (that's why you make a copy of you original planes) then you have to transfer the paper cut outs to the woodso you can cut them out to make a kit to build !! You have to really , really like building. 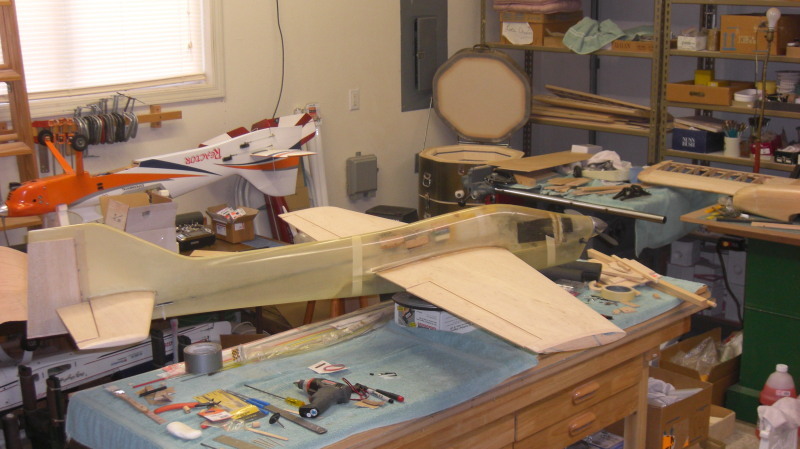 All the pieces are cut for the fus and the fus sides and doubler are cut and glued together. No I haven't put the fus together yet. 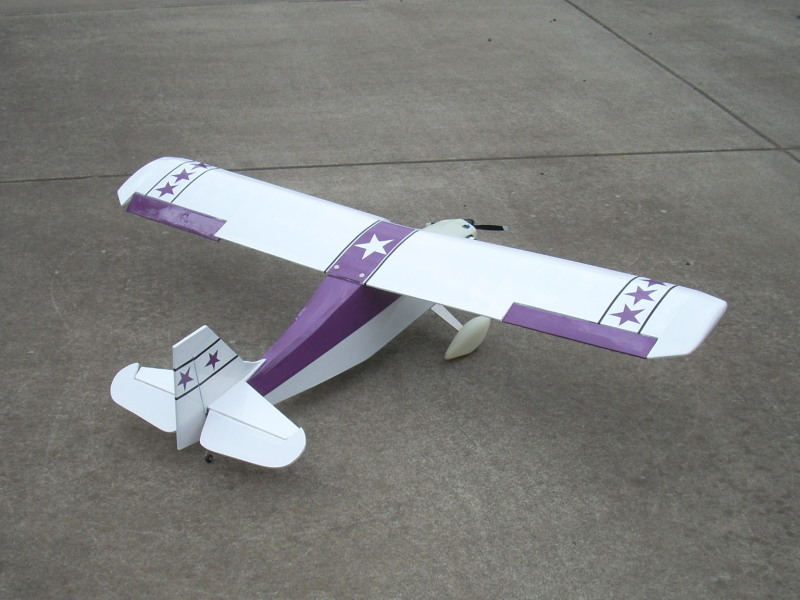 How ever, the wing saddle did take some time to draw out and then cut the wing saddle into the fus. You see the wing saddle has to be 100% right!!!!! My problem is that I am only a 99 % guy so it took me a lot longer to get it to 100% ! 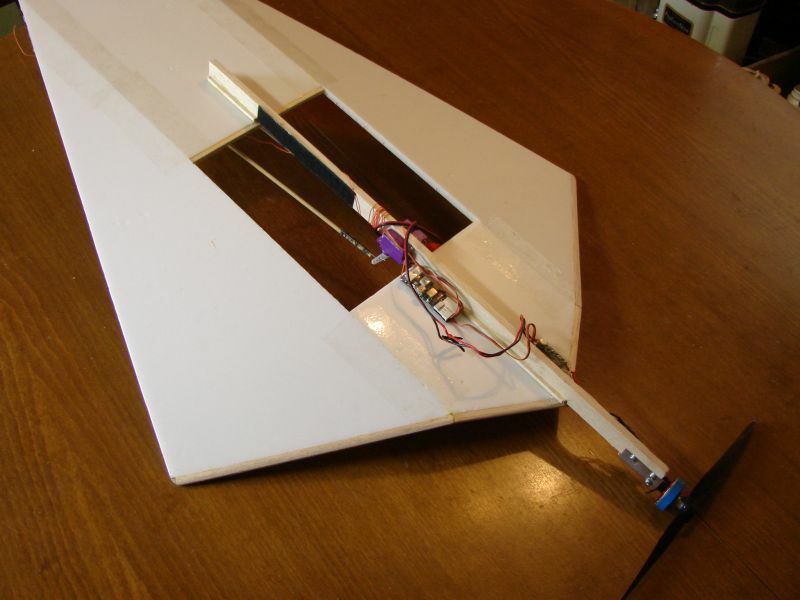 The wing on any airplane is the basses for all other setup to the plane. The stabilizer is set to the wing. 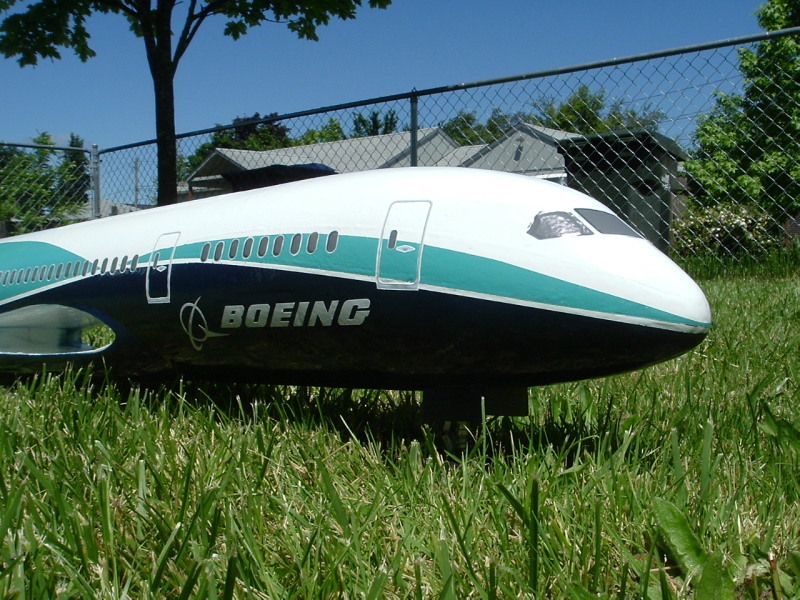 In the case of Bonzo it is a 0 % - 0% incidence The wing is also centered on the thrust line as is the stab and engine. 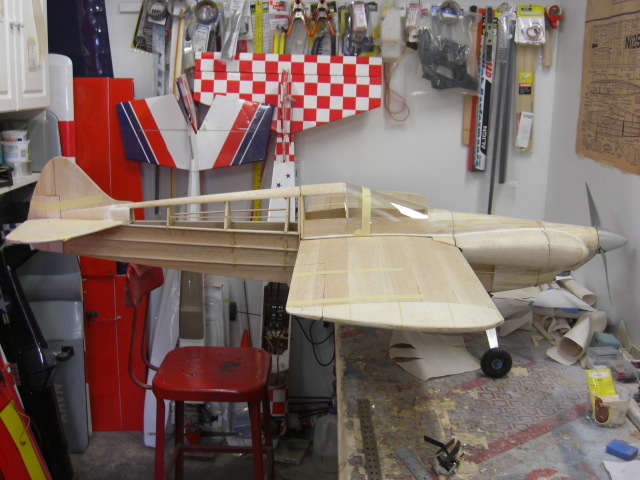 So the wing has to be at 100 % It took a lot of measuring and more measuring and checking and rechecking but after a bit ,, you say OK cut it, right or wrong!! I did and we will see how it goes.. The wing is pretty straight forward. I thought. 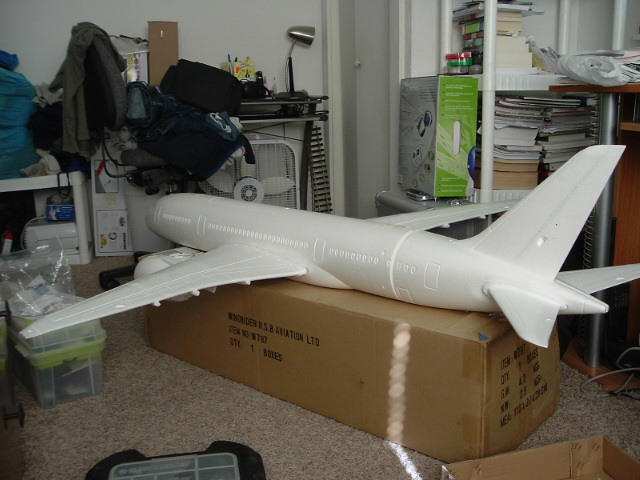 If I could build the wing to the plans it would be, but, and this is a big but!! 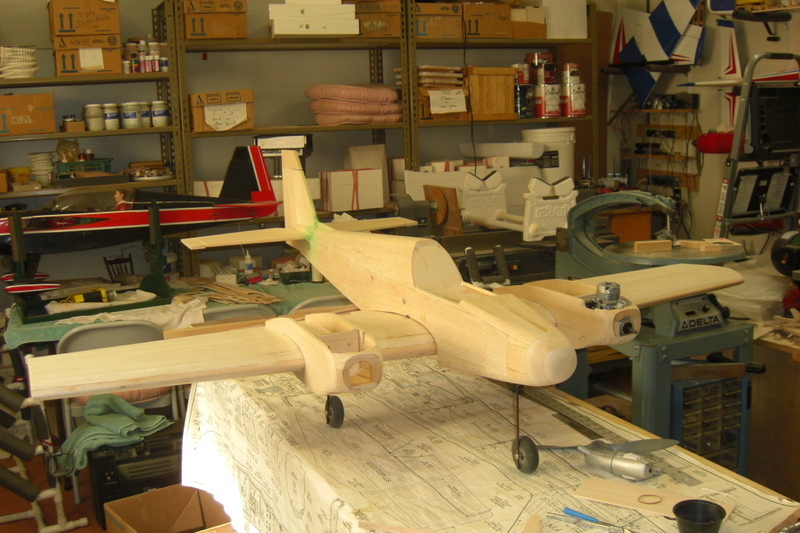 The original plans are for a U-Control plane with a 28inch wing that has the wing glued to the fus. 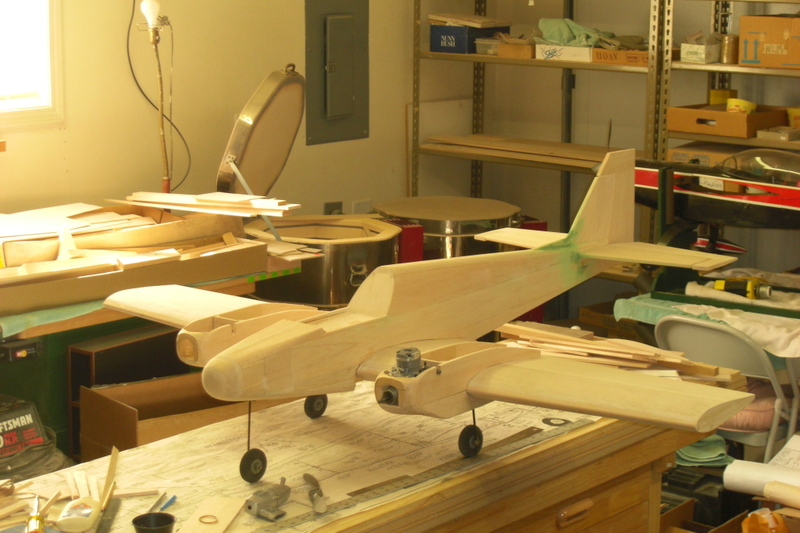 along with the canopy to make a one piece airplane. Well,now that I have the wing up to 68inch and it's guna be an R/C plane there is a lot of redesigning to do. 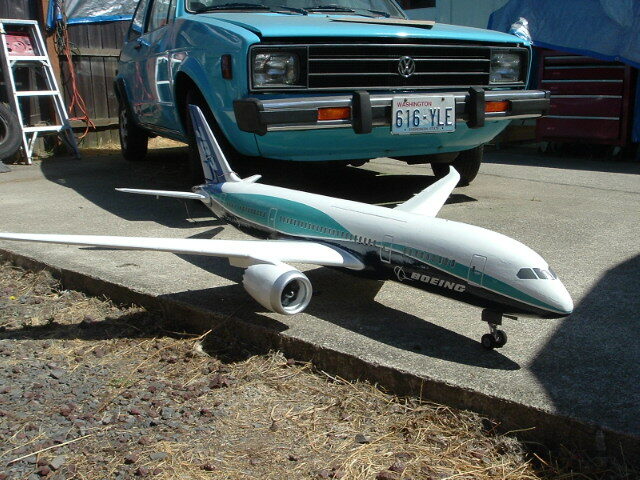 Besides, I don't have a truck that big to carry it in one piece. So the only thing I can say about the wing is. It is in the design stage!! 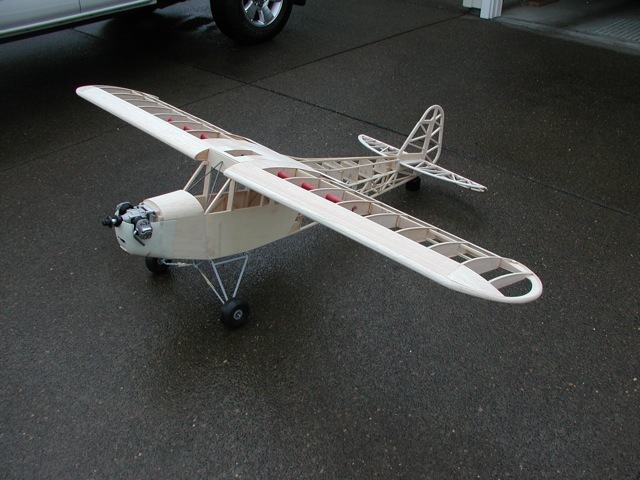 Lets see, The only thing I have to do is..build the wing/ Mount it to the fus,/ build the turtle deck and canopy along with the front top and then CUT THE FUS to get the canopy off so I can take the wing off and then design a mounting system to put it all back together.. WHY?? WHY ?? WHY?? didn't someone talk me it building an ARF of some kind, any kind!!!! I have modified it to a twin with two OS 46 AX's. 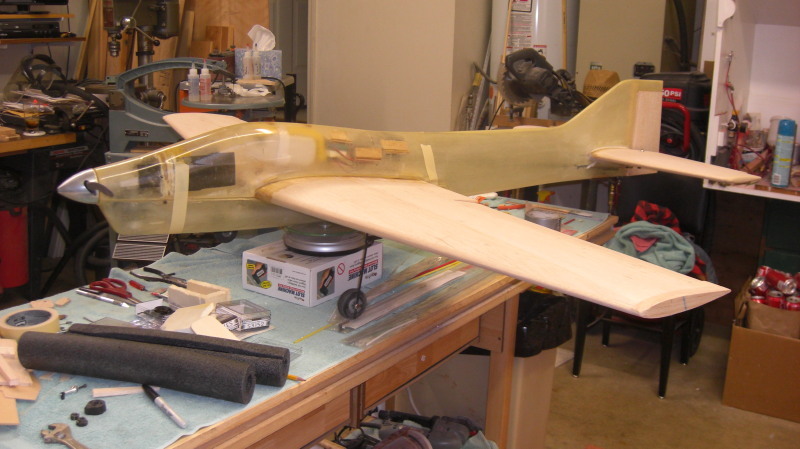 The fuse has a new nose and I modified the tail surfaces to provide more area. 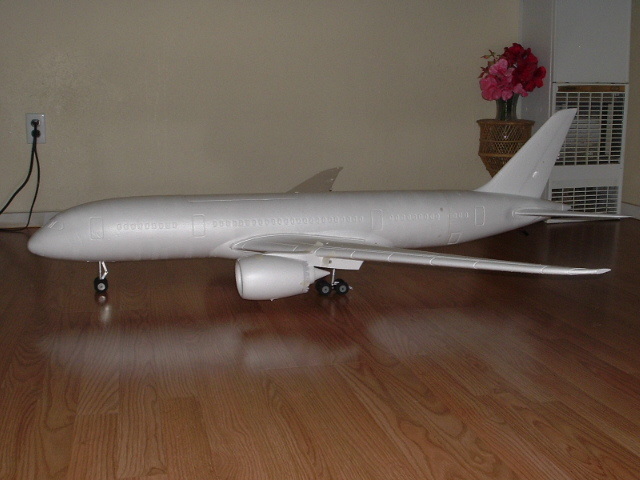 It has retracts (tri) and the wing is fully sheeted. I added glass cloth with water base poly urathane. About six coats of poly, final two had talc added for a filler. The pictures do not show the latest stage. It has two coats of auto Advantage urthane primer sprayed on and then heavily sanded with 200 400 paper dry. Need to spray another coat of primer and sand to see if surface is ready for color coats. At this stage the finish has added about 3 oz to the structure. 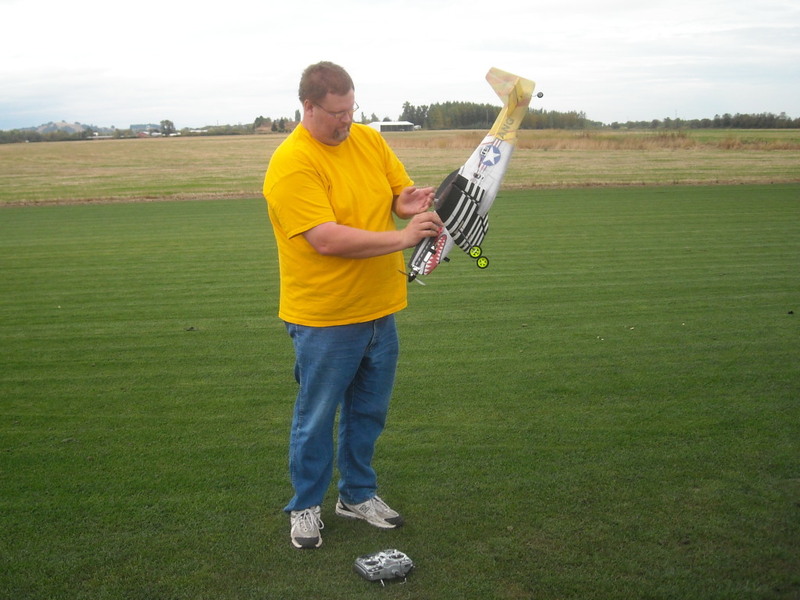 Here's the stuff I did to my Nexstar in Nov '09. A few of the guys have seen it out at the field a few times in December. 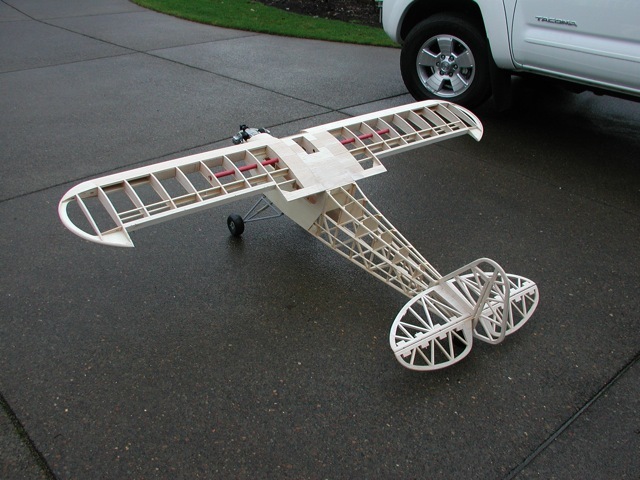 I have 27 flights sofar, it's very stable. Just waiting for more sun. <>Feel free to link a picture for others to see where/what this link represents.